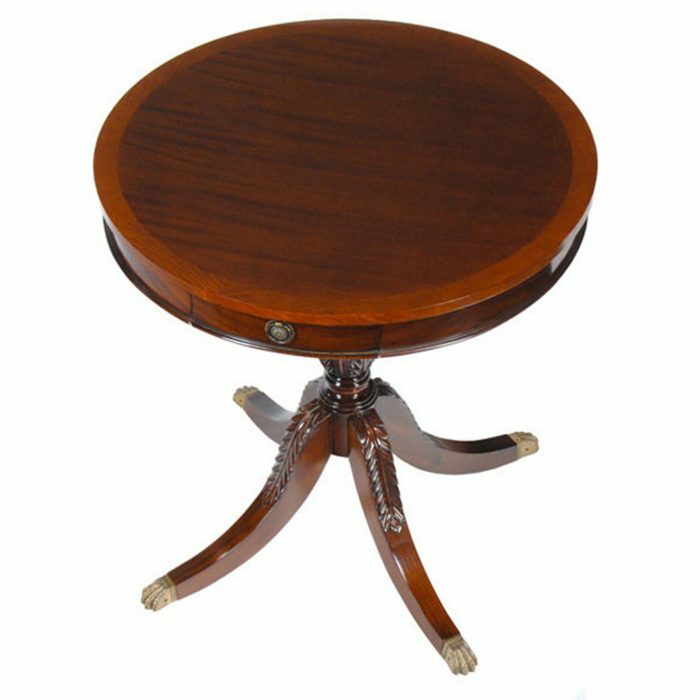 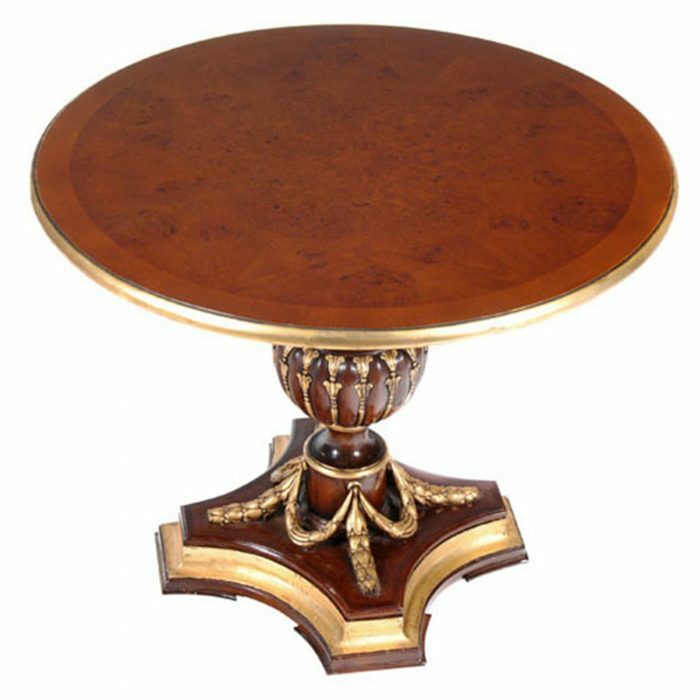 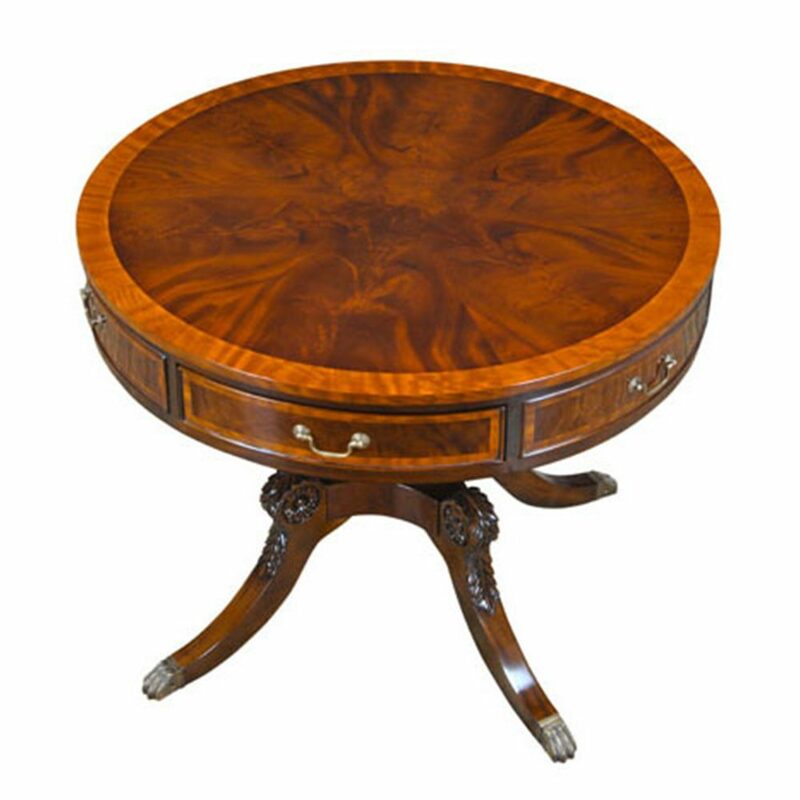 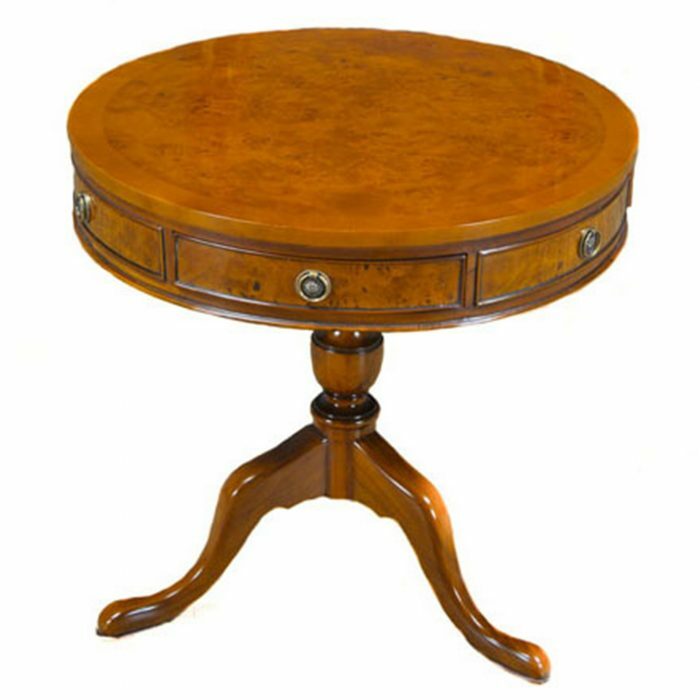 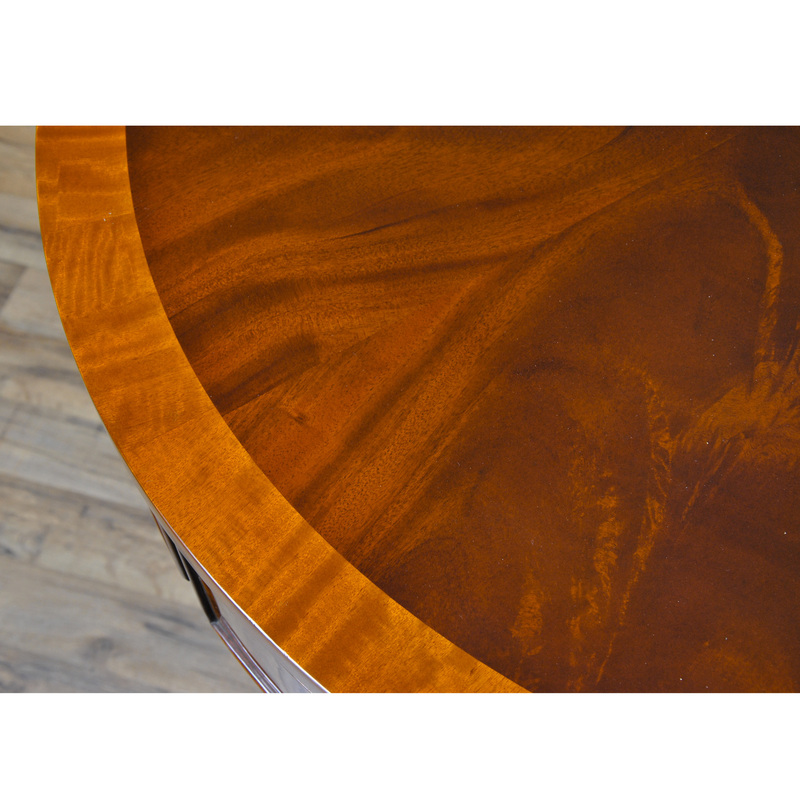 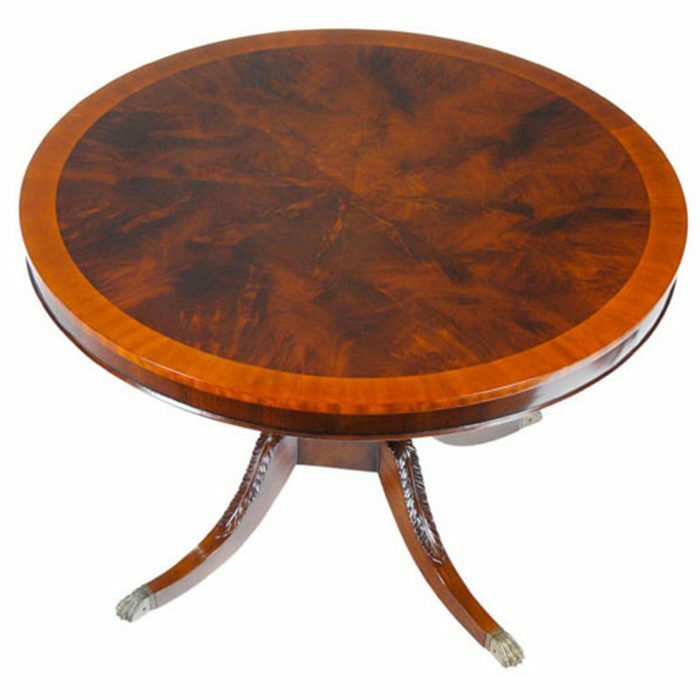 Our most robust drum table this large Round Center Table has eye catching appeal with satin wood banding, carved knees and a thick top with three dovetailed drawers. 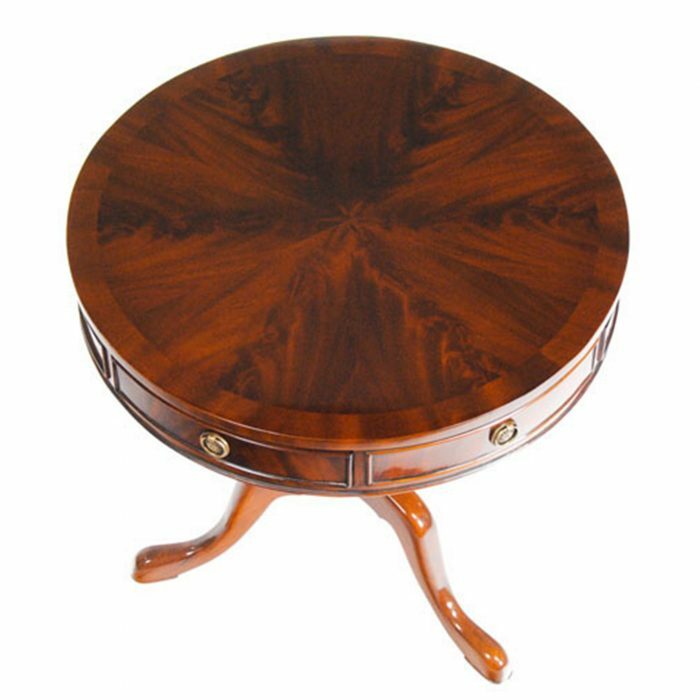 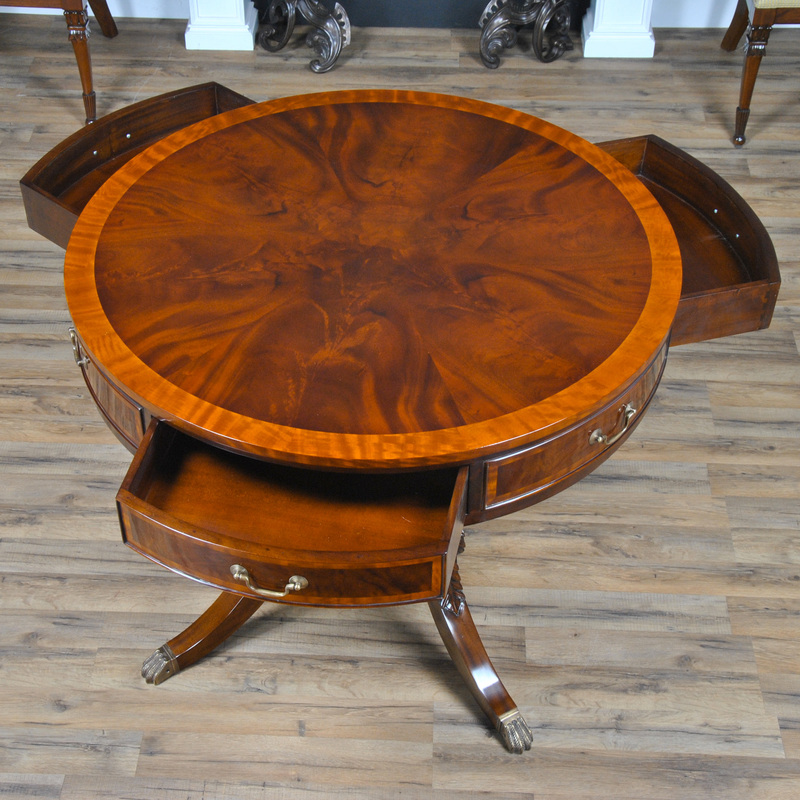 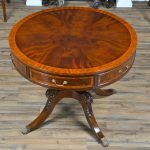 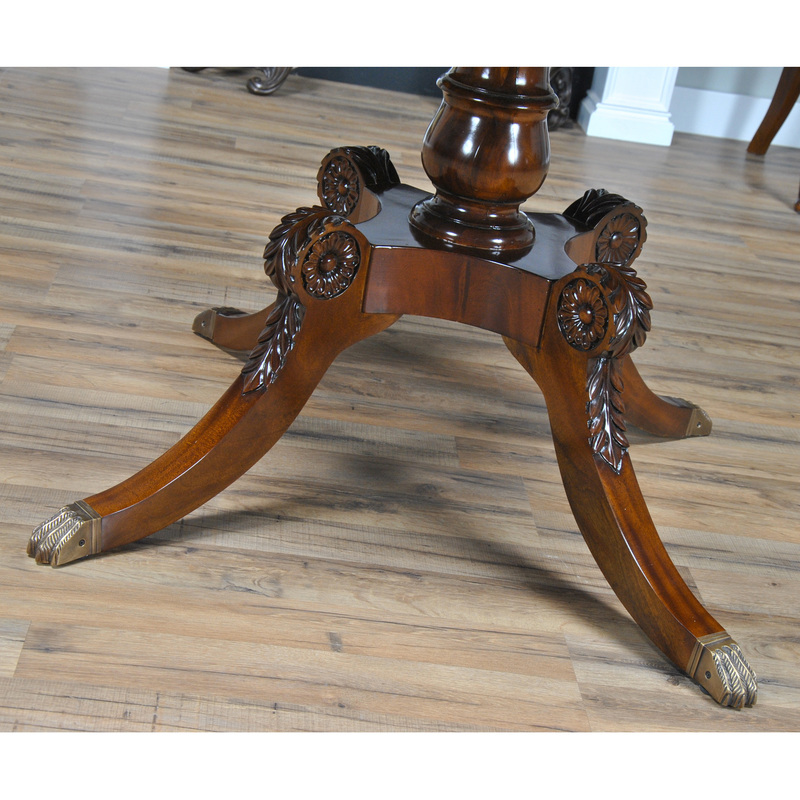 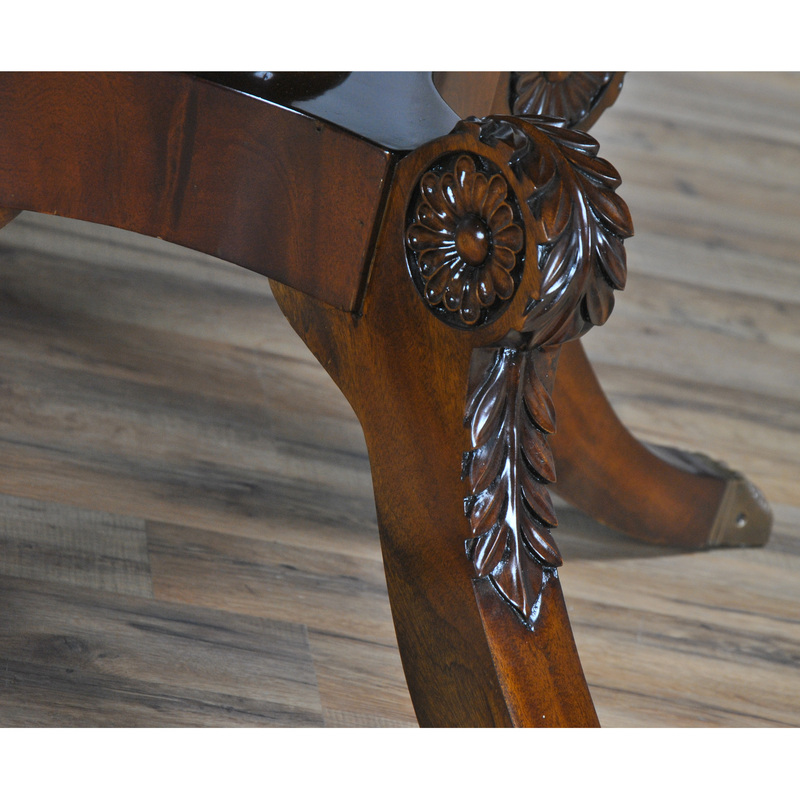 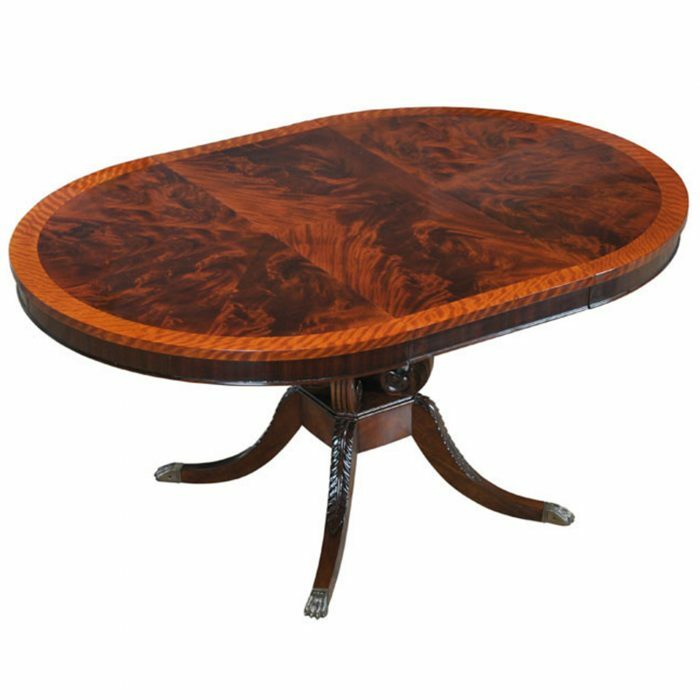 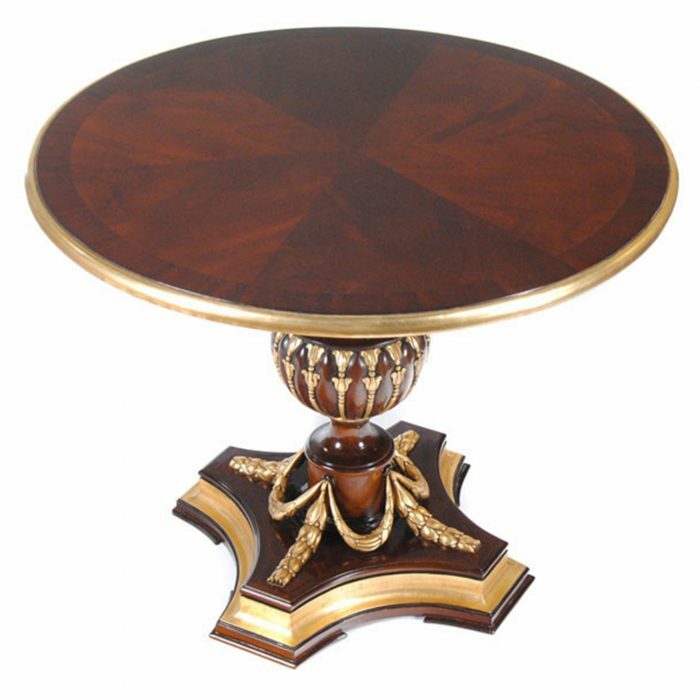 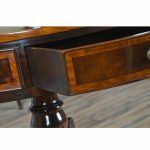 Superb quality mahogany solids and mahogany and satinwood veneers combine to create a gorgeous piece of furniture that will be the center of attention in any setting. 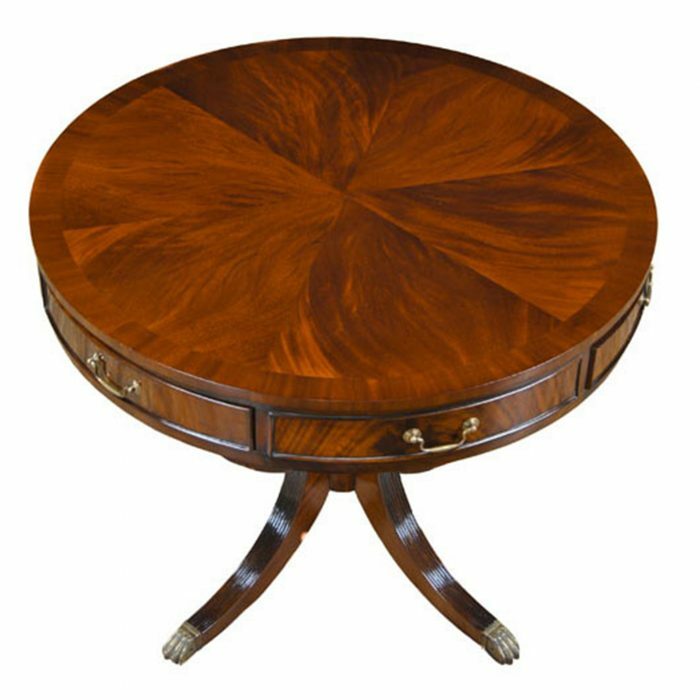 The Round Center Table from Niagara Furniture has a great designer look with timeless design elements. 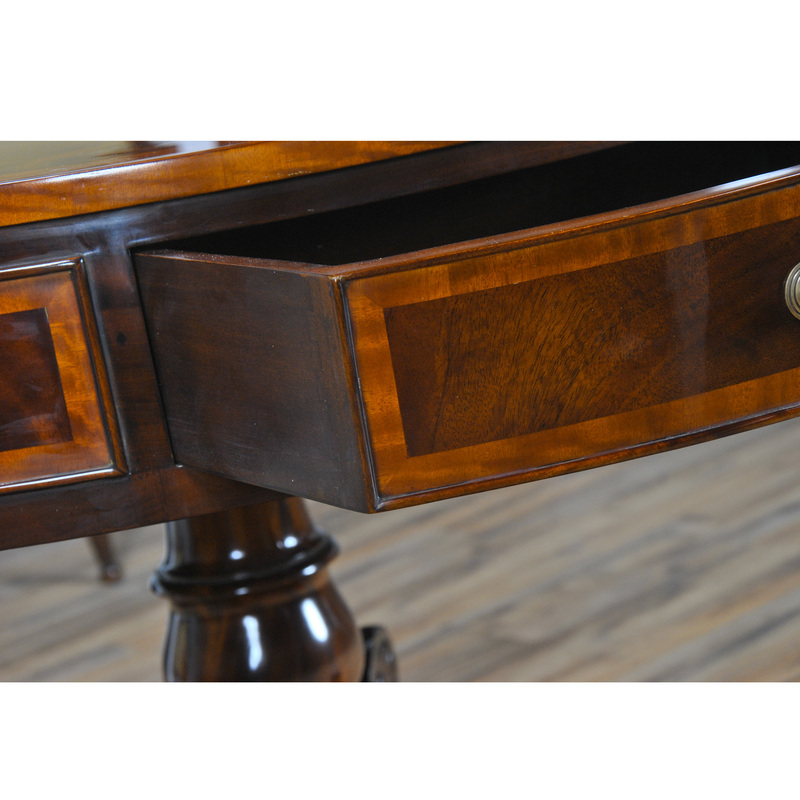 Good taste never goes out of style.